Mercedes-Benz vehicles are known for luxury as well as performance, but where do you bring a European luxury car like this when it needs service? 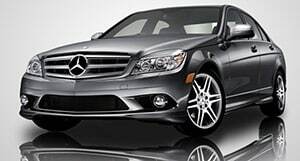 At USA Automotive, we specialize in Mercedes-Benz repair, specifically in the 27604 area of Raleigh, NC. German automobiles have a reputation for style and drivability, and the Mercedes-Benz is a perfect example of that. If you own a vehicle like this, you don’t entrust it to just anyone when it comes to routine maintenance services. That’s where we come in. 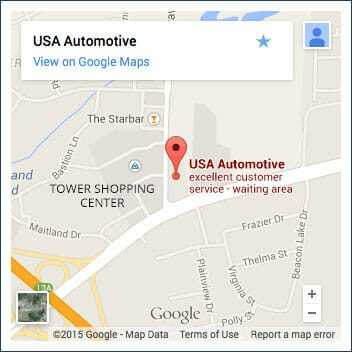 At USA Automotive, we are committed to providing the best Mercedes-Benz repair in Raleigh, NC. We are confident that once we have serviced your Mercedes, you won’t want to trust your luxury car with any other auto repair shop in Raleigh! USA Automotive is dedicated to providing complete Mercedes-Benz repair services to customers in the 27604 area as well as surrounding areas of Raleigh, NC. Our facility has all of the most up-to-date diagnostic equipment, tools and OEM parts – not to mention a team of ASE certified technicians who have the knowledge and experience to handle any Mercedes-Benz repair. We offer affordable, accurate auto repair for your Mercedes-Benz – from simple maintenance services to a major Mercedes-Benz repairs. Using the latest diagnostic equipment and tools, we ensure that your Mercedes-Benz (regardless of the make or model) will receive the most accurate service possible. 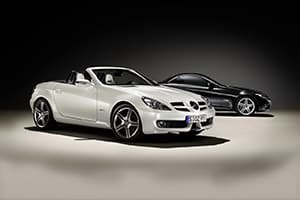 Don’t trust your European luxury vehicle to just anyone; come to USA Automotive and be assured that your Mercedes is in the hands of the most competent, skilled professionals. We stand behind our industry-leading 3 year/36,000 mile warranty on all auto repairs. Bring your Mercedes to one of the leading Mercedes-Benz repair specialists in Raleigh! Our automotive team is here to give you the service that your Mercedes deserves. Unlike the dealership, which can be incredibly costly and impersonal, our goal is to provide the same professional repair work that you would receive at the dealership, but at a more affordable price and with the best customer service. USA Automotive is your local Mercedes-Benz dealership alternative. We welcome you to stop by our shop or give us a call today (919-249-5295) with any questions you may have about your vehicle. We also offer an easy way to schedule your next Mercedes-Benz repair service online! If you’re in need of Mercedes repair in the Raleigh area, give us a call at (919) 249-5295, schedule an appointment online, or stop by today. We’re excited to show you why USA Automotive remains drivers’ first choice for all of their automotive needs.